You may also have asked what does it all mean and is there actually any meaning at all behind them? You may think that they identify just a family. But they can represent not only a surname but also a person, a corporation and even a country. The term family crest is also synonymous with coat of arms, however these two are not the same. If after reading this post you want to learn more about the many different designs that you’ve seen then please check out my What Are The Symbols On A Coat of Arms post. A coat of arms is a distinctive and unique heraldic design that you will find on an escutcheon (i.e. a shield), a surcoat (loose outer coat or gown), or a tabard (tunic or cape garment). The different components of a coat of arms therefore were arms that were displayed on surcoats. Arms were not just worn! These coats of arms could also be found on banners throughout the middle ages, as well as a horse’s bardings, (the armor and trappings put on horses). The word escutcheon can be used as a metaphor for a family’s honor. There are a number of different shapes of shield, such as the common heater style (modern medieval French and English), modern French, cartouche (oval), and lozenge or diamond (usually borne by woman). In medieval times knights would use a coat of arms to identify themselves. During competitions an announcer, (a herald), would introduce the knights. The crowd could distinguish a knight by the design that was emblazoned on his shield, helmet and armor. The coat of arms thus signified all of a knight’s achievements and the impressive battle gear that he wore. Because of this it evolved into a status symbol. In the beginning these coat of arms were only worn by people of great nobility. But with the passage of time they were worn by people of lesser nobility and knights. So, if you are wondering about a coat of arms for your family’s name then I am about to disappoint you. Unfortunately there is no such thing as a coat of arms for a surname. The coat of arms was for one man, just to identify himself in battle. But a coat of arms can be used by genealogists to prove a family connection. A son could inherit his father’s shield but would have to alter it slightly. This tradition of adding to the design was known as cadency. Following the father’s death however the son’s coat of arms would revert back to that of his father’s. This was the merging of two families coat of arms due to marriage. Through this tradition you may find more than one design within the center of the arms, (the shield). A woman could bear arms and this would take the form of a lozenge or diamond shape. This would show the shield of her father. If the woman was married then she could display the arms of her husband. To have your very own coat of arms you must be granted one. These can only be granted by the respective Kings of Arms in England, Scotland and Northern Ireland. There is a College of Arms which accounts for all the different designs of coats of arms. People within the United States, Australia and Sweden can also apply to register for a coat of arms. There are six parts that make up the coat of arms. The first part is the shield, which will you find at the center of the design. Do not get confused though as the shield and the five other parts you can also find on a knight’s shield that was used in battle. A knight would place various elements onto his shield such as a lion, bear or an eagle. Different colors could also be used to identify an individual. The different shield shape could represent a geographical origin and time period. This indicates a rank. So if the helm was gold then this would signify royalty, or if it was a steel helmet with a closed visor then this would denote a gentleman. This was another form of identifying a knight that was later adopted. Elements commonly used include feathers, leather or wood. This was used to seal a knight from the sun and also to protect him from the rain. This was essentially a piece of cloth that was placed over the helmet and would drape down the back of the base of the helm. One side would typically be similar to the main colors of the coat of arms design, while the other side would either be white or yellow. This part would cover the join between the crest and the helmet. This would typically be two silken scarves that were twisted. The colors used would be the first named metal and the first named color in the blazon. These were known as the colors. This is not essentially a part of a coat of arms but is generally seen together. A motto is a phrase that describes a family’s philosophy or denotes an ancient war cry. These are normally found below the coat of arms or sometimes above the crest. (Example above shows the family name). By now you should know what a coat of arms is all the different parts that it consists of. To find your family’s coat of arms you could try contacting the College of Arms in London, England, or the The American College of Heraldy in the United States. Or, to make it easier for yourself why not check out the following sites and resources? A great website is the House of Names shop that you can visit for all sorts of items. They offer family crests and coat of arms on products such as mouse pads, hats, jewelry, shirts, mugs and many more. You can find these products easily by using the menu at the top right of the site. When you have decided on a product you then enter your name and the quantity of the item that you want. Please note: This site will offer you a single coat of arms heraldry design for your surname. This is despite that arms are inherited through the family tree and symbols are usually added by descendants. You can even find out about the history of your surname by entering your last name at the top of the site. Once you have entered your name it will present you with a history of your name together with a coat of arms. It also lists different spelling variations, which is quite helpful when it comes to checking any type of records on any of the genealogy search websites. Famous people and events explored! But there’s more to this section of the site. It will list famous and notable people with your last name. This includes settlers in various countries such as Australia, Canada, New Zealand and the United States. And finally it shows you people connected with historic events. Although not related there are people with my surname who worked and died on the Titanic. I didn’t even know that until I searched for my name. Pretty interesting right? Download coloring booklets and coats of arms at House of Names! these booklets you can color in castles, shields, animals, mythical creatures and other symbols that you will find on a coat of arms. You can also download a blank family tree form. So you can fill this in form in while you trace your ancestors three generations back. But wait there’s another booklet that you can download in the free section of the site. The Design a Coat of Arms booklet contains 11 pages of various arms that you can color in. The shield is left blank so that you can fill in with your own creation. 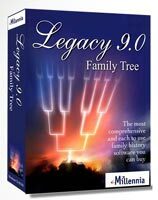 You maybe like me and want to get your children interested in genealogy. So, this is a great way to get the kids the involved in your family history. Or if you’re a kid at heart you can spend a peaceful afternoon coloring in your own designs. There are two books that I recommend you to get if you are interested in the world of heraldry. Both of these books contain more than 200 pages and are fully illustrated. The two books discuss the origins and the development of the coat of arms and its uses in the modern world. This is another go to book for anyone who is interested in heraldry. The complex imagery that make up a coat of arms is examined. Modern day examples are given and are broken down, so you can see what each different part means. Alternatively you could check out COADB.com. At present there are 9,500 arms featured on the website, with the goal to have over 250,000. The website does offer genealogy research packages, so they will help you to find your coat of arms, (if one does exist). Not only do they list thousands of arms and offer genealogy research packages, but you can also purchase your arms in a number of formats. These can be computer images (jpgs), or on a T-shirt, mug, phone or tablet cover, and more. I hope you enjoyed this article regarding what is coat of arms. If you have any questions or comments then please leave a comment below. Fascinating article, the history is incredible. I am from Scotland and belong to the Gordon clan but I have no idea what my coat of arms even is. I just checked out coadb.com but couldn’t find it. Does it include Scottish surnames in the database? You can submit a request form asking for help from coadb.com. To be honest I am not sure but I would imagine so as they are aiming to be the biggest database of arms. Glad you enjoyed it. Please feel free to check out the rest of the site for more interesting information and guides. In some countries there actually are family coats of arms, not just individual ones. In Poland a single coat of arms can be shared by many people, even with different surnames and not actually related. Due to this, many Polish noble arms have their unique names. For example Polish coat of arms called “Jastrzębiec” (“Accipiter”) is associated with total 1740 surnames. I am not sure, but the similar phenomenon could occur in some other CEE heraldic systems. Thank you for sharing that information. I had only been concerned with coat of arms from the United Kingdom. What an interesting post. My mum did a great deal of research into our family history, it was so interesting. We got right back to the 1700s, but could not seem to get any further than that. It’s good to know where you come from and who your ancestors are. Some people had it so hard back then, it kind of makes you feel lucky to be alive in this day and age, doesn’t it! The further back you go then the harder it becomes. I have got to the mid 1700s on some lines. 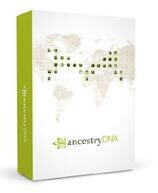 But through family trees on Ancestry.com I have got back further. Although these lines I need to source the information to make sure it’s correct. You are right that they had they had it hard back then. It makes you appreciate what you got. But I also think that how would they cope in this day with all our modern gadgets. This is fantastic. I love that you even include a link to find your coat of arms. Mine unfortunately was not there, but that is ok it is cool just the same. Coadb.com takes requests. They will research and add the arms for you, or, if they cannot locate one, they will tell you. Thanks for sharing that information John from Coadb.com. Owain, I LOVE this page and your website. I have often wondered about how a Coat of Arms was created and you have done a beautiful job here of explaining it in very simple language. And the graphics are perfect! It is inspiring me to see if my family as a Coat of Arms. Thanks for this great info! I’m really pleased that you love this page and my site. That really touches me so thank you. I am glad that I laid it out perfectly. I want my posts to have detail in them but also easy to read. So I am glad that I fulfilled that. Please check out the links on the page for further information on your coat of arms. This was too interesting. Unfortunately, my brother got what he thought was our family’s crest or coat of arms, as a tattoo on his leg! I shared this on his Facebook wall, haha. Really cool information and I love your site. With all of the hustle and bustle in the world, it’s rare we find someone who makes us stop and think about who and where we came from. Thank you! I must admit that I got a set of coasters for my dad with our family’s coat of arms on. This was years ago when I didn’t even know myself. It’s still pretty cool though. I am really enjoying putting these posts together. I try to put up as informative posts as I can.